New York Times: After a day of frantically poring over the correspondence, with the help of millions of online readers, there were no major revelations but plenty of attempts to dissect the background of a woman who might yet run for president. Washington Post: Neither the crowdsourcing nor the traditional analysis by reporters produced any bombshells, but enlisting the public did help engage readers. LA Times: A surprising thing happened after the state of Alaska released more than 24,000 pages of Sarah Palin’s emails sent during her term as governor from 2006 to 2008: Like Al Capone’s vault, it turned out there was nothing there. Ah, shucks! After all that effort only to come up empty-handed and looking so very very foolish. But these supercilious intellectuals just can’t help themselves. Our progressive aristocrats seem to be possessed by some kind of maniacal loathing for mainstream America that expresses its utter contempt for that class by zeroing in on Mrs. Palin. Their inability to wipe out this woman has driven them to total distraction. I’m loving every minute of it. So as the Rita Skeeters of the Left-wing world of Harry Potter journalism pound away at their Palin-hating reports, let’s urge them on in their self-destructive delusional obsession. For as the ancient Greek proverb portends: Those whom the gods would destroy, they first make mad. 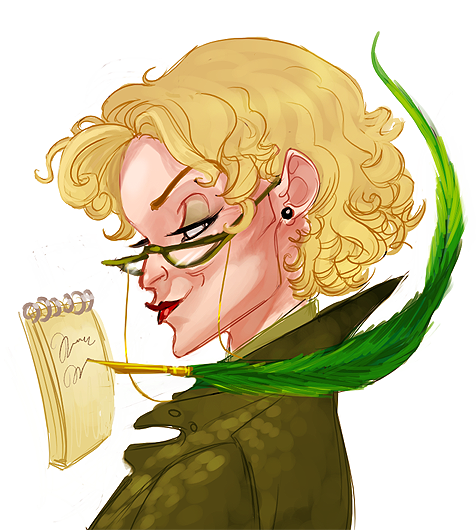 This entry was posted in Media/Arts/Entertainment, Political/Social and tagged emails, Harry Potter, LA Times, NY Times, Rita Skeeter, Sarah Palin, Washington Post. Bookmark the permalink. Extremely well said, Jeanne. I love your eloquent writing style. I do not have the words to put together, but you seem to extract them from my heart and mind. I only can add, that it boggles my mind the amount of $money$ it must have cost to engage in this fruitless endevour to smear Ms. Palin, and I think of the people, institutions or real causes that the $$ could have helped. What a TERRIBLE WASTE OF PRECIOUS TIME AND MONEY!!! You’re so right, C. Money down a sinkhole. These old rags are an absolute joke and their plunging circulation numbers confirm that even their like-minded readers are getting tired of the lock-step party-line mentality.